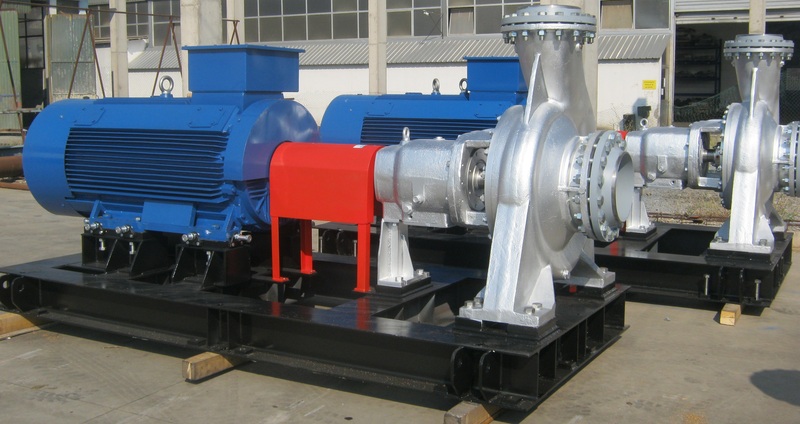 The MS are process duty multistage centrifugal pumps in ring section design, designed and produced for moderate to high pressure heads available in five basic sizes. 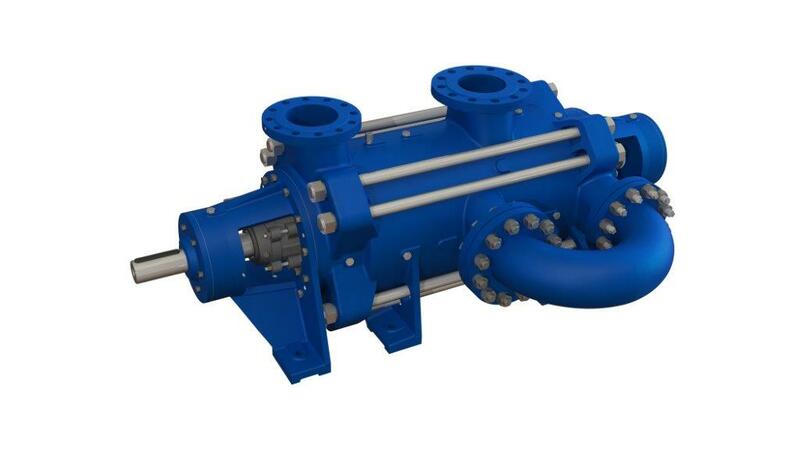 The suction and pressure bodies can be rotated for 90° in both directions, which enables the pumps to be mounted and adapted to the requirements of the installation. Axial thrust is relieved by means of a drum mounted on the shaft inside the discharge hull, rest of the trust bears one of the roller bearings. 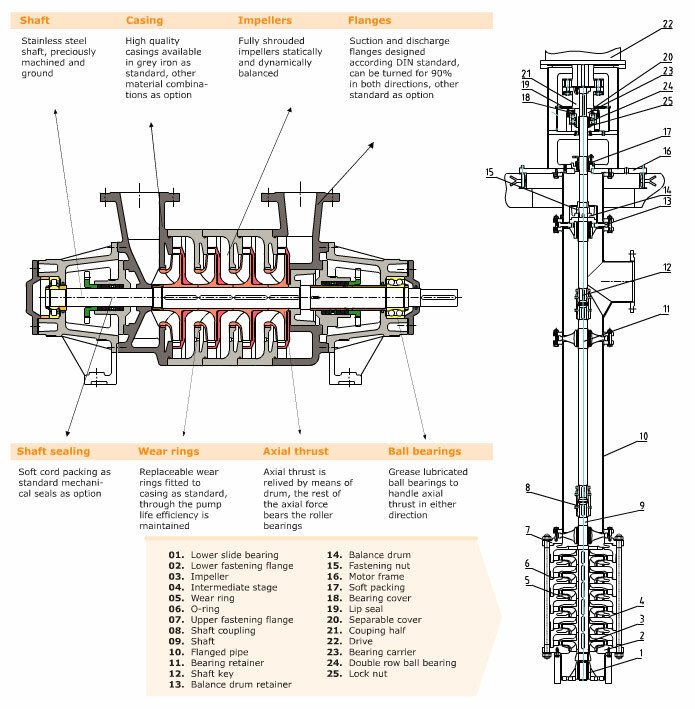 The impellers are centrifugal of closed type identically fixed to a shaft, supported on two roller bearings. 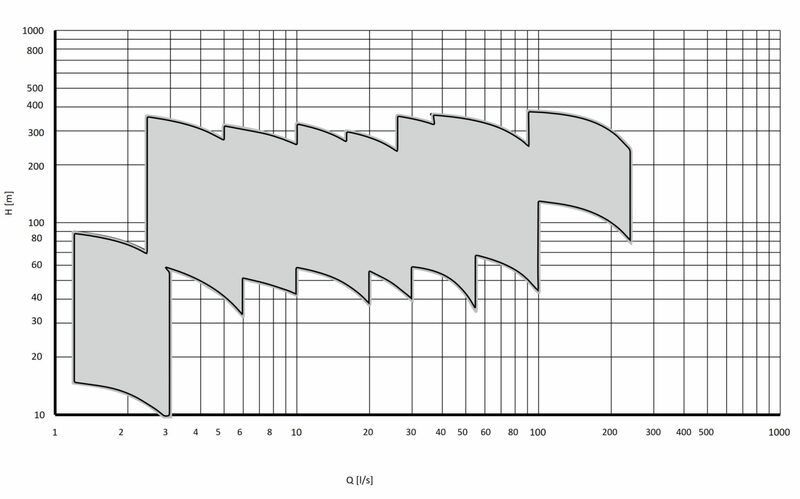 One way of balancing the axial thrust in MS pumps is to arrange the impellers in opposite direction, another way of balancing the axial thrust is to use a balancing drum, the rest of the axial force is beared by roller bearings.